This isn’t just jazz, it’s war. On February 10, 1964 Art Blakey enlisted the aid of a special ops unit for this trailblazing mission. This edition of the Jazz Messengers was the quintessential hard bop lineup and the perfect team for the job. The frontline was a heavily-armed triple threat consisting of Freddie Hubbard on trumpet, Wayne Shorter on tenor sax and Curtis Fuller on trombone. Cedar Walton on piano, Reggie Workman on bass and Art Blakey on drums brought up the rear and had the near impossible task of grounding this tour de force. Blakey was a well-known beast on the skins – infamously destroying drum kits on stage – and was relentless on the Shorter-penned title track, which opens the album. There’s no slow build here, it’s an all-out assault from the word go. Blakey pounds away with everything at his disposal while the frontline crashes through the gate as if charging a bunker amid heavy shelling. With Blakey’s detonations blasting all around, each horn takes an extended solo while weaving through their fearless leader’s tumult. After a glorious 11-minute show of bravado from all parties the finale ends with a classic example of Blakey’s pure adrenal rush on the kit – a thunderous roar followed by a single hit on the hi-hat and then peaceful silence. An outright classic and well worth the price of admission. 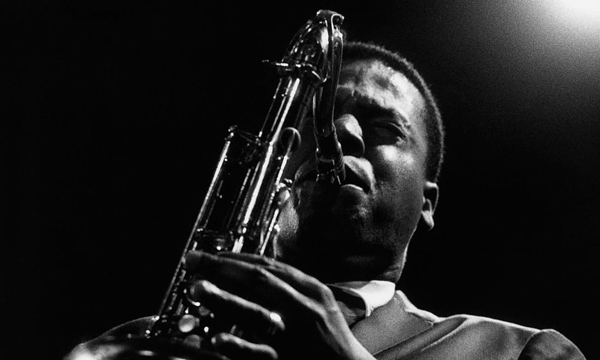 By this outing, Shorter was at the very top of his creative game and shortly after he would be on his way to joining the fabled Miles Davis Quintet as its principal composer. On this album we have two great works by Shorter – displaying his versatile style in all its glory. The second track, “Hammer Head”, another Shorter original, is cooler than the bombastic opener and moves with a well-defined swagger. This is classic Blakey material where his famous press rolls and shouts introduce soloists who take the floor with commanding flair. The third track, “The Core”, is a Hubbard original and another cooker. This piece is a great example of Hubbard’s writing ability and another great showcase for the raw power behind this seamless unit. I’ve always been of mind that Hubbard played to his full creative potential as a sideman at Blue Note rather than session leader. His outings on both the Atlantic and CTI labels in the late 60s and early 70s have always been go-to listening to these ears. The last track, a Clare Fischer composition, will throw you for a loop. Suddenly, and most dramatically, a truce is called and “Pensativa” is the white flag. This laid-back bossa tune would be right at home on a Hank Mobley album of the same period. It clocks in at just under 8 and a half minutes and is a sheer joy to listen to. We finally hear the bright, clarion call of Hubbard’s pristine trumpet and Blakey’s effortless timekeeping. “Pensativa” balances out this amazing album to create a truly unique recording – one which rewards fans with new insights upon repeated listening. I’ll usually reference Allmusic.com as a litmus test for unfamiliar recordings. 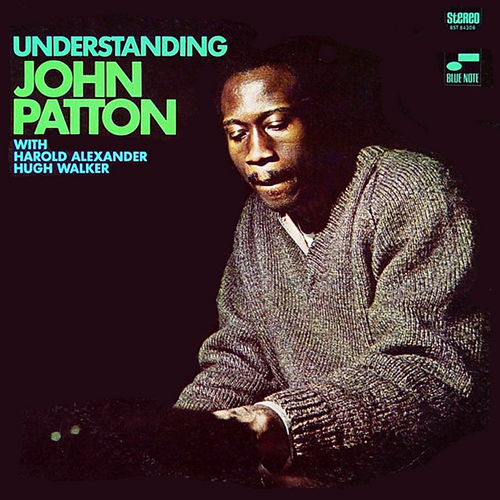 I’m glad I went with my gut when I found a 1995 Blue Note re-issue of Big John Patton’s “Understanding” at a local used book store. If I had gone with the All Music critic’s opinion I would have avoided it like the plague and tossed it aside. For the uninitiated, Patton is an organist who came to prominence on the Blue Note label in the early 60s. He was known for his economical, modern approach and inspired, bluesy solos. One of the few organists of the era to dodge the Jimmy Smith comparison. 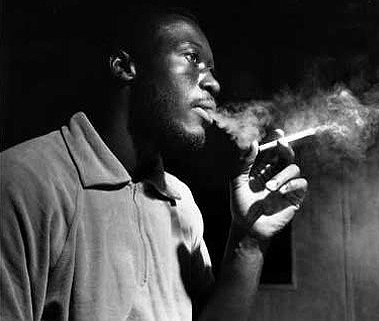 After outputting a handful of releases with label regulars, Grant Green and Lou Donaldson, he ventured off into some uncharted territory. The 1968 release “Understanding” is not truly a dramatic departure but it does house some free playing by saxophonist Harold Alexander and that is what Allmusic took issue with. It’s stated to somehow interrupt the groove and comes across as disjointed and out of place. Perhaps to the untrained ear or to a listener not familiar with or accustomed to the unorthodox sounds of Pharaoh Sanders or the other artists from the Impulse! New Thing stable. Alexander’s playing is by no means that of Peter Brotzman or a young Gato Barbieri. To these ears it comes off as more to do with exuberance, where the spirit of the session takes the helm. “Understanding” still defaults to a soul jazz category and it’s easy to dismiss free (or freer) playing in this arena, but one listen to this vibrant interplay and you’ll fall into the groove and won’t want to leave. Patton is at the top of his game and his bandmates push him to his swinging limit. 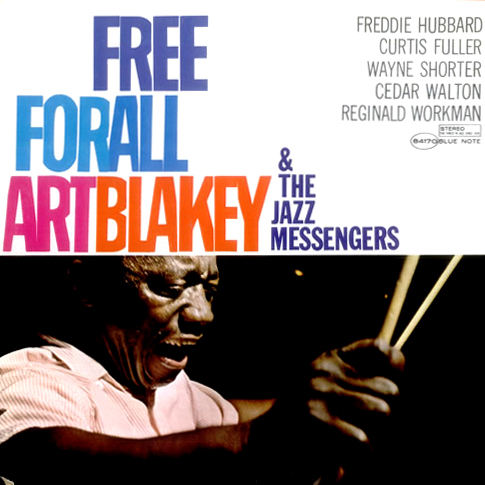 The trio is rounded off by Hugh Walker on drums who gives his all – keeping a steady, turbulent backbeat under the soulful wailing laid down by Patton and Alexander. This is music to drive to, you’ll want to be moving and moving quickly at that. Right from the opener “Ding Dong” you know exactly where you stand – this is some heavy-duty soul and these players aren’t about to let up. Each player builds on one another, throughout the album, adding more fuel to the fire and keeping things interesting. Patton proves he’s not afraid to go out on a limb with a loose cannon like Alexander, whose raw sound on sax churns an already boiling pot. The addition of Walker on drums is a great move – adding a stout backbone to help ground the saxophonist’s free-range musings. Patton is spot on, as usual, with economic solos and signature basslines. And it’s Patton’s near-hypnotic bottom end that adds the sense of forward motion to each track, undulating deep down under Walker’s rock-steady drumming, and showcasing the album’s true groove. hi-fi and tune out the naysayers. Carl Glatzel is a Jazz Blogger, Creative Arts Director – creative direction, art direction, design and advertising, copy-writing for print and interactive media including advertising campaigns, corporate branding, identity, web sites, marketing collateral, exhibits, packaging and direct mail. Nice take on some overlooked classics! Wayne’s solo on “The Core” gives me the chills every time. Thanks Robert! Sent you some more stuff yesterday. Happy to contribute.